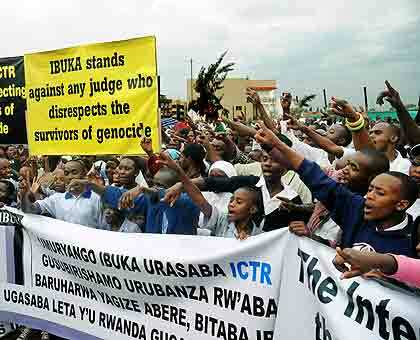 A team of genocide survivors launched on Monday this week, a new website designed to serve as a central database of names, photographs, and brief biographies of over one million people murdered in the 1994 genocide against the Tutsi in Rwanda. The initiative, according to a press release issued on that occasion, is an effort to honor their memory and restore their identities. ‘’It is necessary to name the victims of genocide against the Tutsis so that they are no longer reduced to just numbers. They are not a million of people without names, not a million strangers.’’ Said the survivors’ representatives who signed the statement. Survivors are the first witnesses to the genocide today. Their children are the second-degree witnesses and this database will obviously be another kind of virtual memorial, where the young generation will get to add a human face to the one million lives lost during the 1994 annihilation of Rwanda’s Tutsi, continued the statement. A 2004 Rwandan Government’s census of the genocide victims revealed that 1,074,017 were murdered during the 100 days of genocide. The same report indicates that 93.7% of the victims were killed because they were identified as Tutsi, 1% because they were related, married or friends with Tutsis, 0.08% because they had physical traits similar to those of Tutsis and 0.8% because they had ideas contrary to those of the Hutu regime of the time, or hid people chased by the killers .